Perhaps you just want to update your collection and put the money towards something fresh. - In any retail situation, the price is decided by the seller. As you are the seller, we need you to tell us what price you are asking; similar to placing an item on Gumtree or eBay, you need to state your price first. We do not make ‘offers’ for your goods. Be assured that, if you are asking too little, we will inform you of the fair price for your goods. 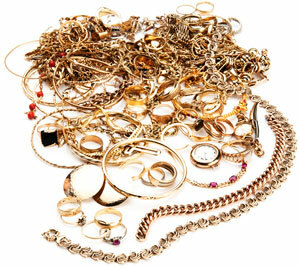 - If you are unsure of the value of your goods, we can formally value them for a fee of $10 per piece (up to 4 items). You will be given a valuation receipt. - The $10 fee is refundable if you decide to sell your goods to us, so you have 30 days to decide from the valuation date, if you choose not to sell on the day. 2. Once you have stated your asking price, our staff can consider this and then let you know if we can help you. 3. If we can confirm that we can help, we can then negotiate the final price with you. Please note that, for a transaction to occur, you will need to provide sufficient personal identification. The retail arm of our business means you will likely be pleased with our negotiated price for your items, as we can assess them on far more than just metal value. We can include the value of stones set into jewellery, and also add a premium for the general charm or antiquity of a piece, meaning that you generally achieve a far better price at Adelaide Exchange. We find that a lot of our customers, for their own peace of mind, firstly visit our competitors and then come to our store last, so they can be sure that they are getting the best price for their gold jewellery, gold/silver bullion or any other precious metal items. We will work to beat any legitimate price offered by any of our competitors in South Australia, or any other state in Australia. After shopping around, we very much doubt that you will find a better price, but if you do happen to find a better price offered by one of our competitors, please feel free to call us or come into any one of our four Adelaide stores, or our Hobart store, and one of our friendly staff will be more than happy to explain the process with you. We assess and consider all individual items and collections for potential purchase. If you are unsure of whether to sell something, even if it seems unusual, please bring it in. Whether it is a broken piece, a single earring, or even a gold tooth filling, we have seen many items just like it, and would like to help you. Don’t be shy, we can help you! We are ALWAYS looking to buy jewellery, gold, silver or diamond items. No matter how small or large the item(s) you are wanting to sell, we are the place to sell your gold. You can sell your goods for immediate cash or trade them towards another beautiful item. We offer a discreet and respectful service. You can come into any of our five locations and obtain cash for gold while you wait. We have four stores located in South Australia; Adelaide City, Tea Tree Plaza, Glenelg & Mitcham and also a store in Hobart, Tasmania. Adelaide Exchange supports the recycling of precious metal, and will perform the work required on gold, silver, or platinum to reclaim its value and turn it into something fresh, original and useful once again.